Making the best out of waste has been a part of human life since the early ages. 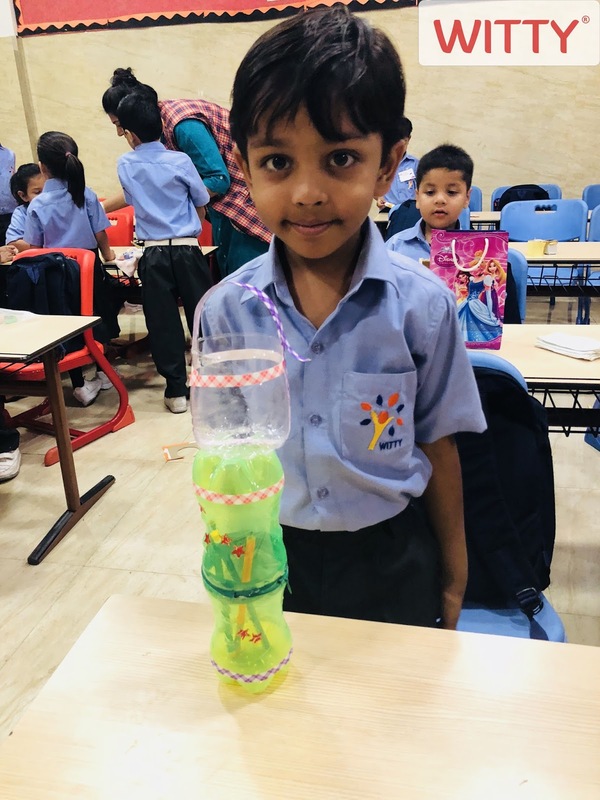 It was the human creative mind that gave birth to this extraordinary idea of using unwanted material in a useful way. 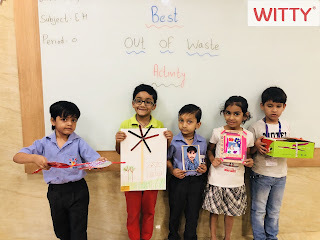 With the motive to make children aware of the use of waste material, and to give them a message to reduce waste to save our future, a Best out of Waste Competition was organized at WIS, Atun Road, Bhilwara on Friday, April 20,2018 for the students of Grade II to VIII and activity for the students of Grade I. Students brought a variety of waste materials from home ranging from old coconut shells, shoe-boxes, waste card board, coloured chart paper, old newspapers, used bottles, rice bags and broken plates. The children got busy creating items from using paint, crayons, sequins and fevicol. 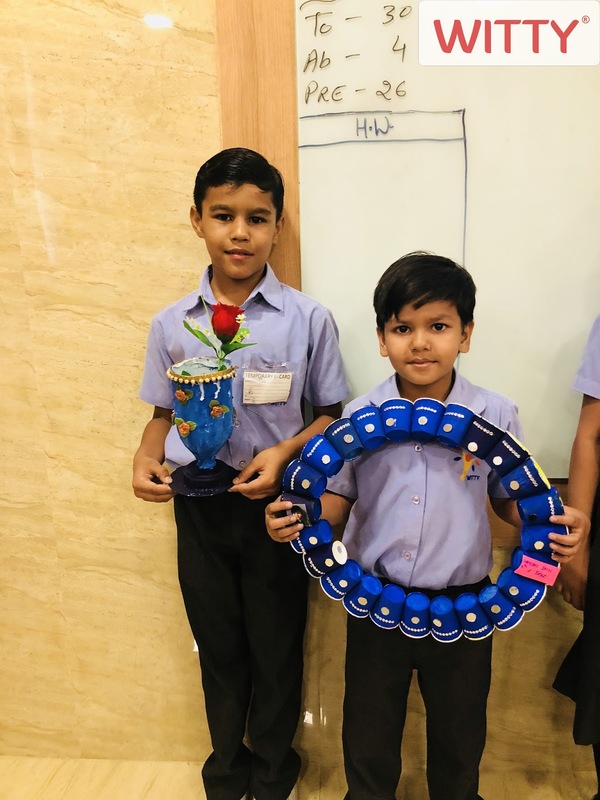 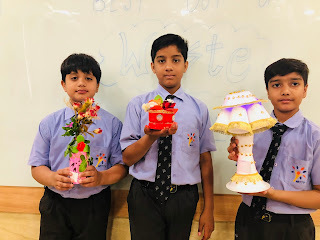 Imaginations ran wild as the students created items such as a flower vase from a broken plastic bottle, pencil stands from used cans, a nest from used paper bowls. 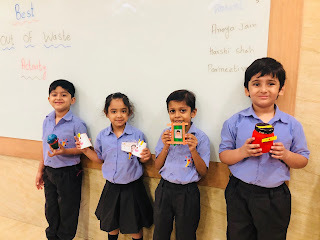 Students showed the best example of "Reduce, reuse and recycle! 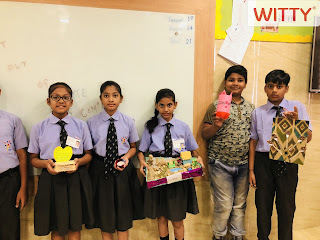 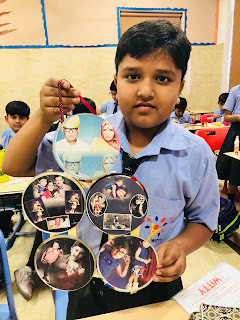 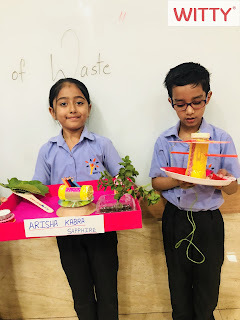 They worked enthusiastically to use their imagination at its best thereby enhancing their creativity and even bearing how to reduce, reuse and recycle the waste.